What's new in Loudness Toolkit? 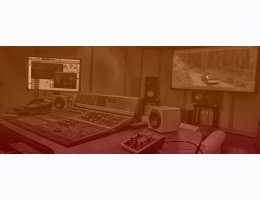 Loudness Toolkit integrates a near-seamless loudness measurement and compliance workflow into the NLE suite, placing the engineer at the heart of the process with faster, smarter tools that take the guesswork and iterative processing out of loudness compliance. Engineers can realize profound time-savings through quick-check and correction processing at up to 100 times faster than real time, within an NLE or as a file-based application. With a single click, they can ensure loudness compliance and prevent costly mistakes. By combining program and short-term or momentary loudness corrections, Loudness Toolkit 2 ensures engineers are fully equipped for evolving loudness regulations. Improvements to the industry-standard VisLM-H Loudness Meter include a clear, resizable user interface with zoomable and scrollable logging and history. Another powerful new function in VisLM-H is NUGEN Audio's ReMEMTM program loudness overdub mode, which instantly overdubs changes and re-calculates loudness on the fly. ReMEM saves time by building and remembering the loudness profile, locking it to the timecode, and saving it between sessions. In addition, offline loudness calculations can now be imported into the real-time VisLM meter. With NUGEN Audio's ISL on the master bus, engineers can "set and forget" the tool with the assurance of true-peak compliance at all times. ISL's new Dynamic Auto-Release mode enhances algorithm transparency by intelligently adjusting recovery for low-frequency content. Unique channel linking visualizations and interdependency controls make ISL an unprecedented solution for a new generation of production requirements. LM-Correct now provides users with single-click analysis and correction to accelerate workflow for every seat, executing loudness analysis and correction up to 100 times faster than real time. This includes combined program and short-term or momentary loudness correction that enables simple compliance with new regulations. In addition, NUGEN Audio now offers professional users its industry-leading DynAptTM dynamic adaptation technology as a time-saving optional extension for LM Correct. For the first time, DynApt uniquely brings LRA correction into the timeline for rapid re-versioning or dynamic content re-purposing. DynApt identifies and respects transitions and meets specifications intelligently while preserving dialog clarity.